The hair growth towards the end quarter of her eyebrows sloped downwards. 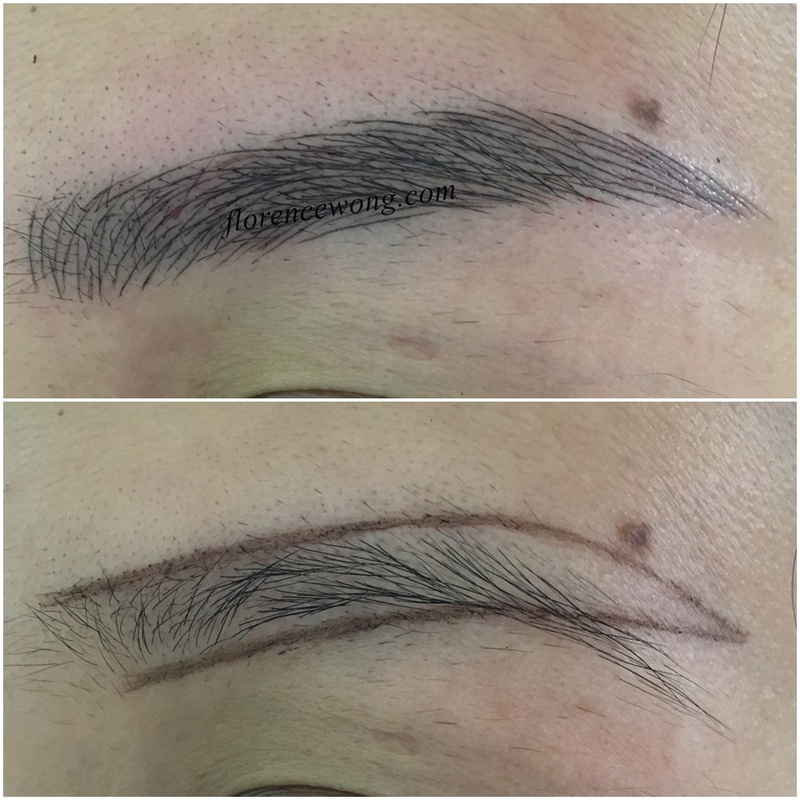 Our artist designed the shape following her hair growth, tilted up the end quarter with matching hair strokes, and layered the strokes from begin till end brows. A striking and natural finish akin to her original eyebrows. 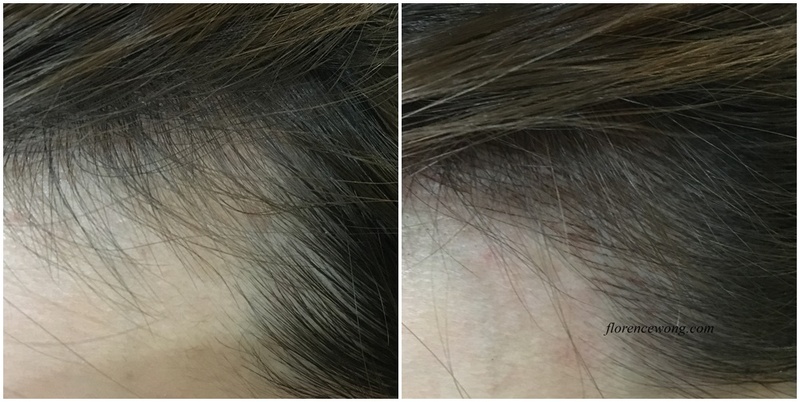 Scarce brow hair growth coupled with previously tattooed marks which turned yellow/brown were the issues Florence Wong Image’s artist has to resolve. 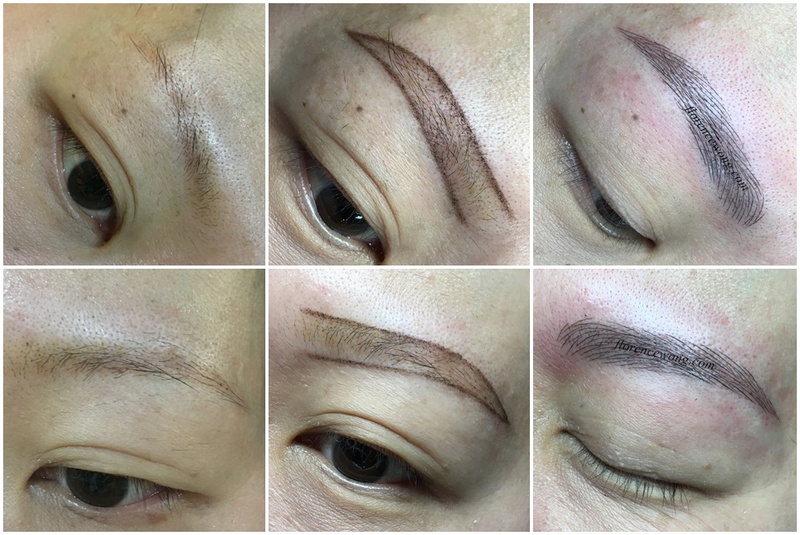 The artist created a pair of new eyebrow stroke design for her which effectively, and very naturally concealed the undesirable yellow/brown hues completely. 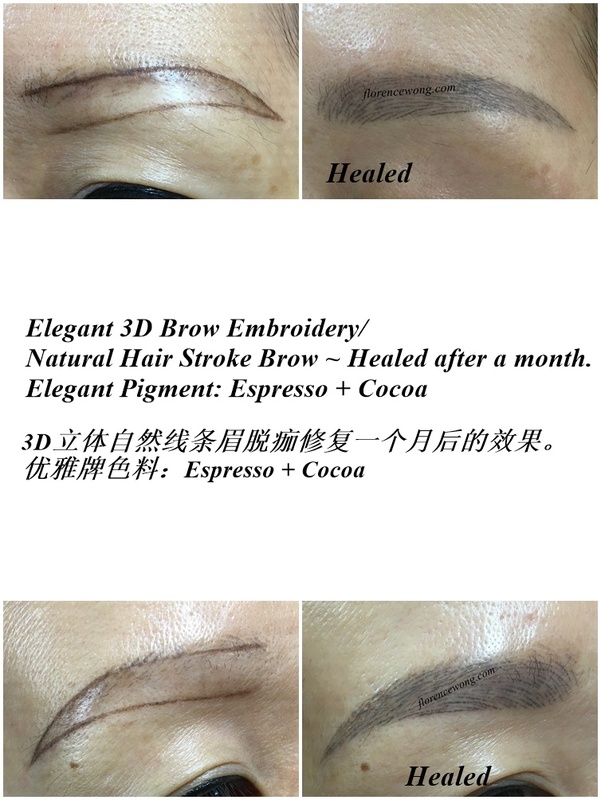 Elegant 3D Brow Embroidery ~ Lasting Eyebrow?? 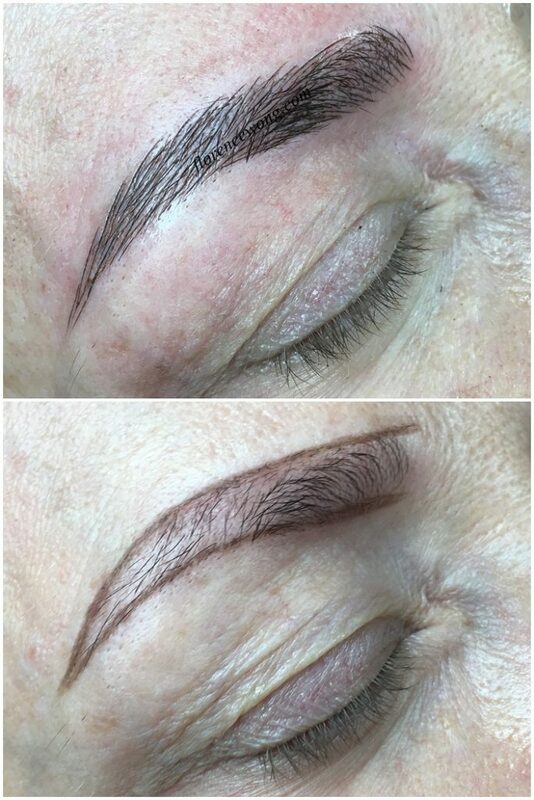 Normal embroidery or flat eyebrows certainly may last very long, up to 10 years even! And of course lasting eyebrows will eventually save us some money as well. These are the benefits of normal embroidered brows, in fact they are the ONLY benefits. However, the savings may not be worthwhile as the ageing process will change the shape of our face, features and of course our eyebrows. Through the years, these ‘semi-permanent’ eyebrows will shrink, become thinner and sag. 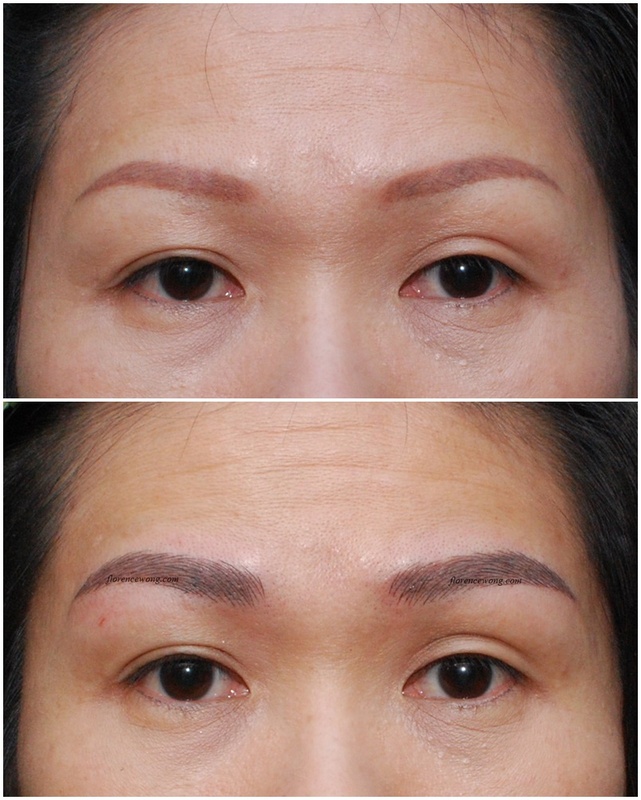 Normal embroidery on brows also tends to change colour, from the original to red and purple colours. 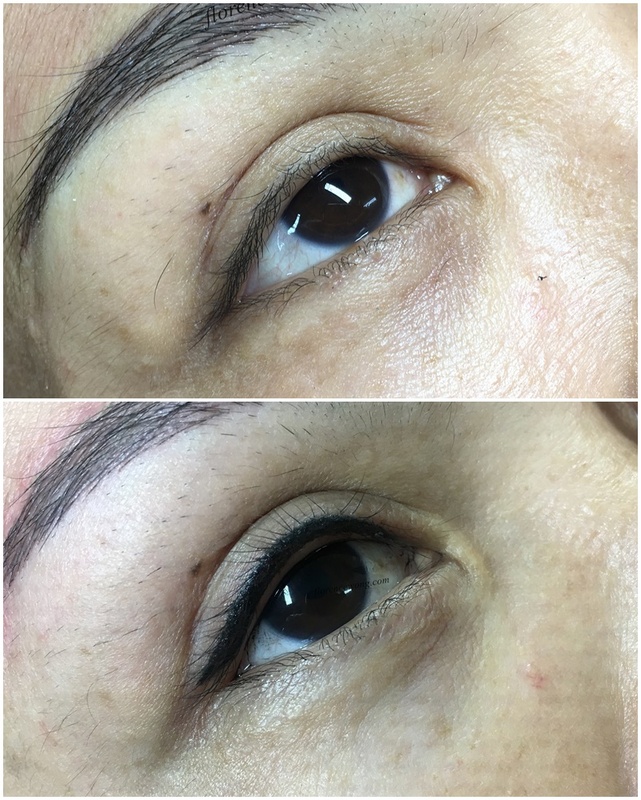 A laser removal procedure will be required if the new design is not able to cover the previous brow marks, or the colours change to a tone which can’t be covered. Whichever nationality, race or gender, sparse eyebrow hairs at the end brow is a common occurrence. 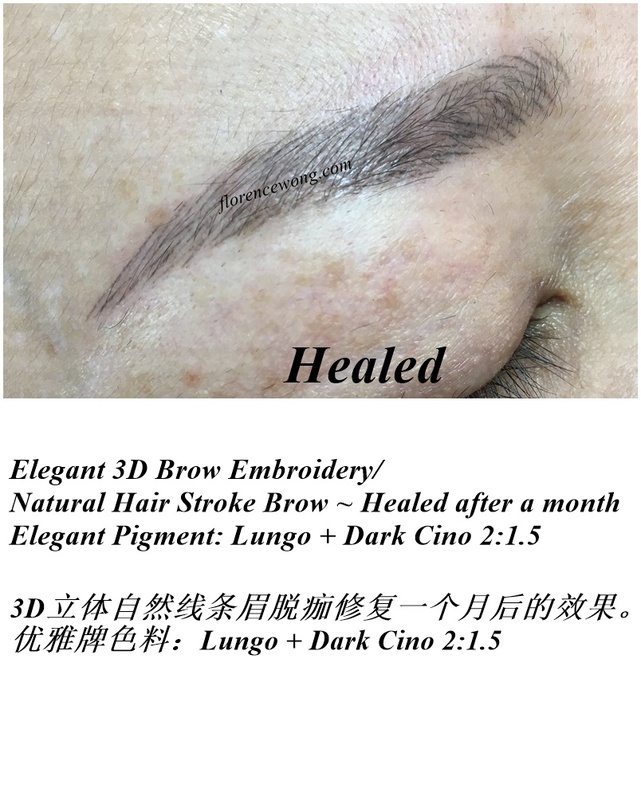 Our Canadian client came to us for the Elegant 3D Brow Embroidery. Thanks to you, Florence Wong Image’s artwork is now travelling across the globe 🌎.